Is it safe to drink tap water? How many times have you asked yourself this question? If your main source of drinking water is the tap, then you would most likely say, yes. But are you aware of the dangers associated with drinking tap water? The answer to the question, “Is it safe to drink tap water?” depends on your water source. Tap water may come from natural sources like rivers, natural springs and lakes, as well as man-made sources like wells, reservoirs and underground aquifers. Knowing the source and the cleanliness of the water source will help you figure out if the water from the tap is safe to drink. 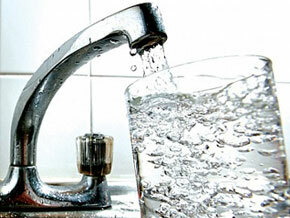 More than 200 contaminants are found in modern public water systems and majority of them are known to cause diseases. Water contamination comes from different sources such as leaking and cracked pipes, lead solder, and chemicals present in the environment and waterways. Even the chemicals used by water providers during the water treatment process contribute to water contamination. Some of the chemicals present in drinking water systems are chlorine, fluoride, bromate, lead, benzene, copper, mercury and many more. Now, is it safe to drink tap water? Not if the appropriate and sufficient water treatment is not employed. There is something you can do to make your tap water safer for drinking. The finest way to achieve this is by using water treatment systems. There are lots of water treatments technologies used these days to effectively address water contamination issues. Here are some of them. This method kills microbes through heat and is often used with activated carbon filters. Ceramic candle filters are often used to remove parasites and bacteria present in the water. However, it does not remove viruses. This water treatment method eliminates little amounts of chemicals and is often used in removing odors and tastes due to organic chemicals. The RO method removes sulphate, microbes, nitrates, dirt particles, hardness and even little amounts of pesticides. Where to Buy Water Treatment Devices in the U.S.
For safe tap drinking water, get your water treatment devices from reputable manufacturers. Here are some of them. Multi-Pure offers high-quality water treatment systems which are very effective in removing contaminants in your tap water. They specialize in solid carbon block filters and other water treatment systems. APEC is a renowned manufacturer of reverse osmosis treatment systems for home and commercial use. They also offer water filtration systems and parts. Doulton USA specializes in ceramic water filters and cartridges as well as other water filtering systems. AMPAC-USA offers a wide range of water filtering systems such filters and reverse osmosis devices. So, is it safe to drink tap water? Yes it is, if you use the suitable water treatment system that is effective against the kind of contaminants present in your water supply.